Brian Skinner has just been in touch to say that he is having to cancel Sundays race as the Council are going to need him to reinstate any damage to the park and it could be an open bill with large bond required as well. It is with much regret that he is doing this but he feels that he could be financially ruined if the event goes ahead. I will get a contact email address in the council to complain to and if you live in Glasgow complain to your local councillors. We very nearly had the same issue with Irvine this year, but managed to resolve it through political means......we had a bit more time to do this though. Can't believe it....more red tape!! Grass does grow back, do GCC not realise that!! Such a shame for the guys that have put so much time into organising it! Crazy the grass grows back in a few weeks! We have had that before South of the Boarder! Has anyone tried sending in some 'before and after' pictures that usually helps! Shame a few of us were coming up for a double header weekend! They can manage to damage large areas of the grass to accomodate the Pope. An spend money on new trees, paths and perimeter fence. A few folk, including kids on bikes are a NO NO. What an absolute disgrace. I live right next to Bella Park in Mosspark and was looking forward to racing, as was my daughter in the kids race. Council are taking the piss. Other events held in the park - Irn Bru Live and Loud, Snow Patrol GIG, 10k's. The subsidence inthe park has now been sorted and there is talk of trying to get more concerts held at the park. THE POPES VISIT WAS DISCUSSED AND NOT ALL RESIDENTS HAD RECEIVED THEIR LETTER, CONTAINING INFORMATION ABOUT ROAD CLOSURES. THE SUBSIDENCE IN THE PARK HAS NOW BEEN FIXED, SO WE CAN LOOK FORWARDED TO MORE SHOWS,LIKE GARDENING SCOTLAND AND MORE CONCERTS LIKE SNOW PATROL WHICH WAS VERY POPULAR. PEOPLE WOULD RATHER SEE SHOWS AND CONCERTS AT THE MOSSPARK BLVD., END RATHER THAN THE PAISLEY RD., END. I worked very closely with Brian over the last few weeks to put on what would have been a great weekend of racing and know he is bitterly dissapointed. I likewise had to pull the Scottish Crit Champs in 2008 due to a last minute demand for four figure charges to close a road down and insert a traffic management system. What I suggest is to write/e-mail to GC Events and the local councillors concerned. When I get the details I'll put them up. So far so good for Kings Park. What a nightmare at such short notice. So much work goes into these events before the race itself. Gutted that youve wasted so much of your own time guys. Its unbeievable the different attitudes of the councils. Strathclyde Park/North Lanarkshire Council couldnt have been any more helpful in helping with the EKRC race, sending rangers out at 06:30 on Sun morn to double check the area for us and open gates, toilets etc, really helpful and encouraging. Spoke to them on the Mon after and later that week for any feed back from them and all positive and no probs with the grass. Head ranger did mention that grass has this incredible abilty to grow again!! What a shame. As Michael said, it is just your Donald Duck if you get someone who is helpful. Stirling Council and, in particular the park ranger, couldn't have been more helpful with the Plean race - just a pity the enthusiasm doesn't stretch as far West :-( How much do they spend policing and tidying up after the orange walk??? Glasgow Parks and Recreation does it again! You want to get more people in parks? Then let them hold events without holding them to ransom! It might be a good idea to go above Councillors and go to MSPs and MPs. Although the likes of Sturgeon are pretty useless though others have been pretty helpful in getting football pitches in parks sorted. The council don't seem to mind hundreds of cross country runners coming to Bellahouston Park to race round there. From experience, the damage done by runners will be worse than our cyclocross race, especially given the date and the amount of rain that is likely to fall between now and then. How really annoying for all the organisers - Glasgow is one of the most unhealthy cities in the world, everyone says take exercise and stop playing computer games, pie eating and smoking, then council say "Don't Walk (ride) on the Grass", stay at hame and pay the council tax...arrgghh! I've had sympathetic responses from Iris and Bill so far - but no explanations or details. I'll post more when I get it. John Flanagan has gotten back to me to say he is going to investigate the matter and will let me know. I've had a sympathetic reply from Iris, who thought that it didn't sound very fair and she's asked the Parks people for a response. I've not heard anything since then (Weds Morning) - so if you email her, she at least knows of the situation and is looking into it. MSP Bill Aitkin also replied but said that, while he agreed it was unfortunate, it wasn't really his responsibility. we could all just turn up and pottle about on our bikes anyway, and not repair the damage. Dissapointed to here about the cancellation of the race,especially a new organiser.We organised a few races there including the champs about 20 years ago.After a gap of a few years we applied to hold another race their,but whoever was in charge at the time just laughed in our faces when we explained that we wanted to ride on the grass.NO CHANCE !! Gary Willis from the scu asked us if we wanted to do a race their about 5 years ago as Bellahouston Park was very keen on promoting it. We decided not to bother!! I was hoping this year that they were still very keen on promoting sport in Glasgow,but obviously not. I think we need to get these people out of their offices to see what a great sport cyclocross is! This is really poor. Did Glasgow successfully bid for Commonwealth Games on a bandwagon of legacy for the city to improve the health of the west of Scotland?? Many initiatives cost hundreds of thousands of pounds employing staff etc etc often with little success. Cycling in the park is cheap and creates a visible showcase of activity for others to see and spread the word. The park has a cycle activity track (actually getting a bit moss covered in places in need of maintenance and regularly needs swept of glass before we use it). Young cycling and triathlon groups use this facility and were looking forwards to sunday. As already pointed out how much is spent policing and tidying up after orange marches and the pope. Clearly bigotry gets more support than exercise. No wonder the city is unhealthy. Email now sent to Iris Gibson. 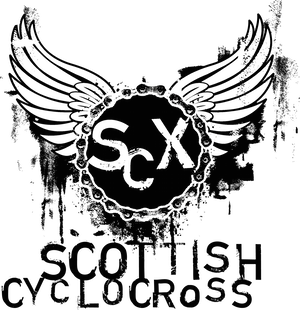 Shame about Bella,if their is a venue in Scoland that has the potential to host a major cross race its Bellahouston. It ticks all the boxes. We should not let this be the end of cross in Bellahouston. I too can remember riding the Scottish,at Bella. (was it really 20 years ago)STV were their and the race went out on scotsport that night. I recently found an old start sheet/program for a Scottish at Bella with our names on it George (probably in our LRCC days). I think it was dated 89 or 90 so it may have been the same race that STV covered. I'll dig it out and send you a scan. Nae luck to the folks hoping to ride at Bella this weekend.